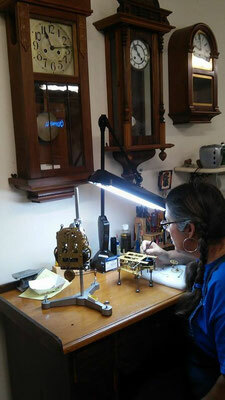 "Heirloom clocks, after repair should be a testament to their age and timeless beauty." God Bless the good work! 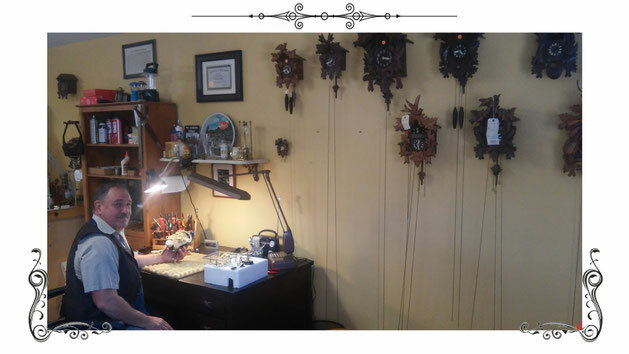 We repair clocks, from family heirlooms to cuckoos, such as: wall clocks, grandfather clocks, long case clocks, mantle, antique, kitchen, quartz, electric and Morbier clocks! We take absolute care to maintain an exceptional standard of repair by using quality parts with state of the art equipment. You can be assured that your clock will be repaired with the highest grade parts available. American, German, English, French, and Asian clocks.... from wherever your clock hails, we can repair it! "Squander not time for it is the essence of life." Sunday splash! Grasp the two chains and gently pull the pine cone counterweights back up to the clock. Flick the pendulum and tick-tock a rewound clock. I have often written about how tension drives time forward. Time is spent relieving tension. No escaping time. 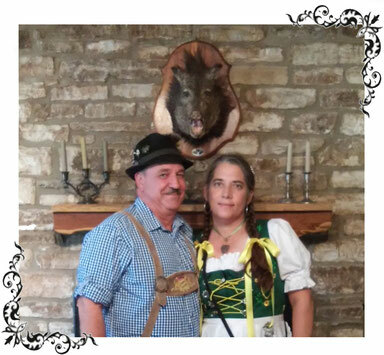 My grandmother was a Baumgart who was born in Brenham 1900. 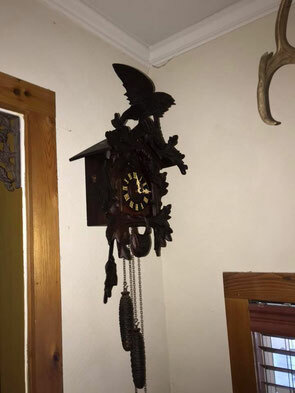 Somewhere one day she was given a German black forest cuckoo clock from the 1800s. It hung in her home in Bellville long after her death in 1968. It was my fascination as a child. The clock lay waiting, biding its time, in a nook of my garage. I pulled it from a dusty corner thinking it was a lost cause. The eagle was broken and the chains were tangled much like my childhood memories. My hometown Katy no longer sits quietly on the prairie. Humanity has crowded out the quiet and the stillness. There seems no return to simpler times. Yesterday geese cackled and honked above my hill country home. As if on cue, Tracy Jordan called to say it was time. He and his wife had resuscitated the old cuckoo clock. To say I was “moved” was an understatement. There on his shop’s wall hung every memory I had of my Grandmother. “Nanny” greeted me once again as she had every Saturday when Daddy dropped me off before going to help Papa in town in Bellville. The same clock she made “cuckoo” for me had been reborn. All had come full circle, like geese returning from beyond. This made possible by a rice farmer’s kid with a familiar name. It “struck” me deep and hard. When you drive West on Interstate 10 past Katy look to the south. Better yet, exit at the road with Jordan on the sign. There are a few geese possibly circling, wondering where to land among houses upon houses spilling onto the prairie where the rice farming once thrived. Honk in their memory. If only I could stop the pendulum. But everyone knows that would be cuckoo. Breathe, just breathe. I guess its time to move on.